RestorationMaster provides Dallas, Plano, Garland, and the surrounding communities in northern Texas with the most trusted disaster restoration and cleaning services. We employ a team of technicians dedicated to bringing “peace of mind” to our clients and helping you recover from a difficult situation. We provide our services for homes and businesses in Dallas, Collin, Denton, Tarrant, and Rockwall counties and we also work with many local insurance providers to assist with insurance claims. Our phone lines are open 24 hours a day at 972-362-0999 to respond to your emergencies. Water damage is one of the most common problems in a home or building as it can be caused by a number of factors including heavy rain, floods, leaking from pipes or fixtures, and excess moisture or humidity. 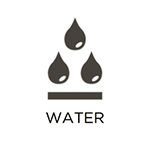 You should always take immediate action once water damage is discovered because water and moisture can spread quickly through a home by getting absorbed into the building materials and furnishings. RestorationMaster provides water damage cleanup and restoration services in Plano, TX to help remove excess water from homes and businesses. Our water damage restoration services are done using a combination of dehumidifiers and air movers in accordance with the Advanced Structure Drying Guidelines and IICRC water damage procedures. At RestorationMaster, we are proud to provide industry-leading sewage cleaning services to property owners in Plano, TX. We utilize state-of-the-art equipment, sanitization solutions, and methodologies to address the cause of the problem, remove contaminated water, and restore your property. We are available 24 hours a day, 7 days a week, to respond in the case of emergencies. No matter the scale or severity of the damage, we will respond rapidly to salvage and restore as many of your belongings as possible. Preparing for the winter months by better insulating your pipes is a good idea if you are a property owner in Plano, TX. This is because many homes and offices are built with pipes in poorly insulated areas, such as basements and attics. If the temperature drops below freezing, your pipes are at risk of freezing, which can lead to a full burst and excessive water damage. While being proactive goes a long way in preventing these disasters, it does not always solve the problem. At RestorationMaster, we provide water damage restoration services in Plano, TX to help you recover from the effects of frozen pipes. A fire is one of the most destructive disasters that can occur in a home or building and they can continue to spread damage once the flames are gone through dangerous chemical emissions and corrosive byproducts. By reacting quickly, you can help mitigate the damage and prevent it from becoming permanent. RestorationMaster provides fire damage restoration and repair services to help homes and businesses in Plano, TX recover from a fire. 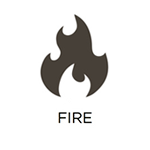 We can repair structural damages caused by the fire as well as remove soot and smoke damage. 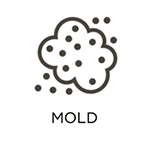 While mold can certainly be unsightly, it has the ability to cause a significant amount of damage within a building structure. It is also able to thrive in dark, hidden areas, growing unnoticed for long periods of time. However, as soon as you discover it or are suspicious of it on your property, call RestorationMaster right away for mold removal services in the Plano, TX area. As the spores are able to travel through the air and affect new surfaces, it is important that all cases are removed as soon as possible. Once called, our technicians will use advanced products and equipment to efficiently identify all areas and remove the mold at its source. After all building materials have been completely disinfected, they will then be repaired to their original conditions from the damage. Sometimes after the damage is cleaned up from a disaster such as a flood, fire, or mold growth, there can be a lingering odor left behind that is difficult to remove. RestorationMaster provides professional deodorization services in Plano, TX to completely remove unpleasant odors from homes and buildings. Our technicians can effectively remove a variety of odors from pets, floods, mold, mildew, and smoke with odor treatment methods that include ozone technology, absorption technology, and Nano carbon technology. Tile and grout surfaces are typically installed in high moisture areas such as kitchens and bathrooms because they are moisture resistant and they come in many different colors and patterns to match any décor. However, the finish on the tiles can wear out over time, allowing dirt, mildew, and other grime to adhere to the tile and grout lines. RestorationMaster provides tile and grout cleaning services in Plano, TX to completely clean and restore the look of your tile and grout surfaces. Our truck-mounted cleaning system uses steam cleaning extraction to remove embedded dirt and debris from the tile. The carpet in a home or building experiences consistent foot traffic on a daily basis and as a result, soil, dust, and other debris are constantly gathering within the carpet fibers. This accumulation not only causes the carpet to appear dull, but it can also lead to deterioration of the carpet fibers. RestorationMaster offers professional carpet cleaning services to homes and businesses in Plano, TX. Our technicians can effectively remove deeply embedded debris from carpets, rugs, and upholstery using our truck-mounted, steam cleaning extraction equipment. It is never easy to deal with significant damage to your home from a disaster and if your personal items are also heavily affected, this will only make the situation more frustrating. Many personal items are quite delicate and the damage they sustain from fire, water, or mold can become permanent without quick enough restoration. RestorationMaster provides content cleaning and pack-out services to help clean and restore heavily damaged personal items in Plano, TX. We can effectively clean and restore all types of personal items as well as remove all lingering odors. Professionals in the healthcare industry pride themselves on providing quality care for their patients as well as a clean and comfortable environment for them to recover. With patient satisfaction being among the most important principles in the healthcare industry, it is crucial that you have your offices or facility cleaned by a professional that understands this principle and can provide quality services. RestorationMaster provides healthcare cleaning services in Plano, TX to clean and disinfect a range of healthcare facilities and medical offices. Our technicians are highly trained to ensure that your facility is effectively cleaned according to industry standards and we use hospital grade cleaning products to prevent cross contamination. When disasters damage your building, swift and effective reconstruction services are necessary to limit the severity of the damage and return your property to its original condition. This is exactly what we offer here at RestorationMaster. From initial inspections and site-stabilization services to post construction cleaning, we will be with you every step of the way. Our ultimate goal is to restore the properties of affected individuals in Plano, TX, and provide you with greater peace of mind. Utilizing standard cleaning equipment and solutions in commercial environments is certainly proactive, but it cannot compare to a professional cleaning. At RestorationMaster, we make use of state-of-the-art sanitization equipment, treatments, and methodologies with our commercial cleaning services in Plano, TX. No matter the conditions that your operations put your floors, furnishings, and equipment through, we can help you keep them clean and effective. Severe storms, fires, major accidents, and more can leave your building in an unstable condition, and rip open holes in your siding, roofing, windows, and more. If this occurs to your building in Plano, TX, we encourage you to take advantage of our emergency board up and tarping services. At RestorationMaster, we respond within hours of your call to strengthen any structural components of your building that have been weakened, and effectively cover openings that have been created. We will also work with your insurance company, if you have chosen to file a claim, to allow you to focus on other matters. Construction projects in a home or building can be long and intrusive which is why it is a relief to have them completed. As much as you might want to rush back in to use the area, it is best to wait and ensure that the area is clean. 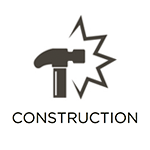 Construction projects create a lot of dust and the crew may leave behind debris such as screws, nails, and pieces of drywall or sheetrock. The debris is hazardous because someone could step on something and the dust can spread to different areas of the home or building and create a bigger mess. RestorationMaster provides post construction cleaning services to help cleanup recently constructed areas in homes and commercial buildings in Plano, TX. Our technicians will clear all hazardous debris from the area and clean up the dust left behind.